Providing the only all women’s shopping location in NULU, Six Sisters is your spot for a down-home, Southern in spirit and city in style experience. Katie Meinhart is the style-minded buyer behind the shop’s beautiful inventory, and she cites the influence of her multi-generational siblings as her primary strength. As she observes, “a sister keeps you honest,” and that’s clear in the pricing you will find as well as the advice you will receive at this fun, easygoing shop. You’re sure to make some great new discoveries and leave with a whole new idea of you and your personal style... Just in time for Derby season! 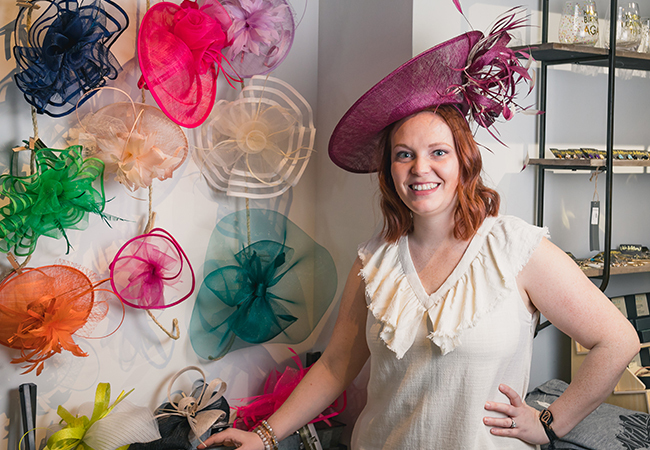 Six Sisters has just brought in a wide array of stunningly beautiful fascinators, and with prices ranging from $28 to $198, you are sure to find something for every single budget.